There is a healthy tradition of clowning in classical music performance, as could be witnessed just this past Monday in New York when the splendid Chinese pianist Yuja Wang joined the British music-and-comedy duo of Igudesman and Joo for a night of general goofing around at Zankel Hall. Looking back a little bit further, we find compositional satire with Peter Schickele and his alter ego, P.D.Q. Bach, and keyboard japes from the mid-century pianists Victor Borge and Wladziu Valentino Liberace, all of whom made their names and quite comfortable livings gently mocking the pieties of classical music performance and its canon. 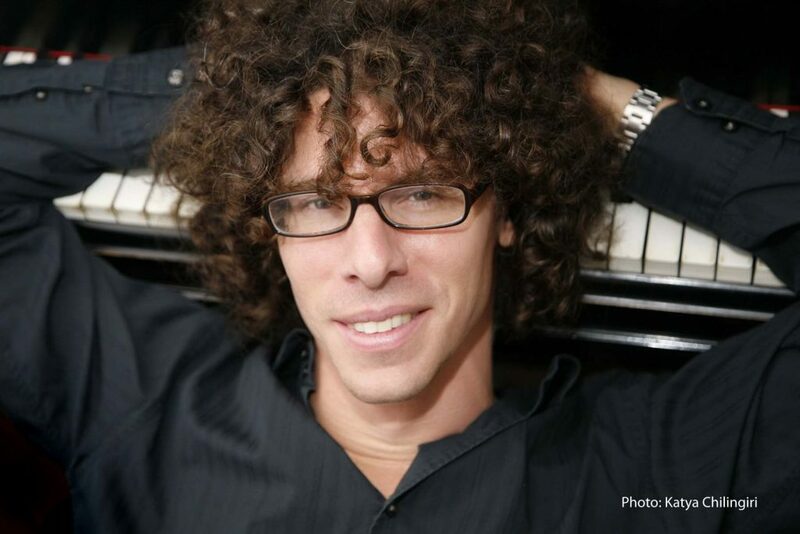 And now there is the Italian-American pianist Julian Gargiulo, who is making his own foray into this unique field, as he demonstrated Wednesday in a very loose appearance on the Classical Café series at the Duncan Theatre’s Stage West. Gargiulo presented a program of classical workhorses interspersed with standup-style commentary, an audience-participation skit, videos and a couple of his own pieces. Even his physical appearance was part of the fun: A tall, lanky young man, he sports a curly coif so abundant that his personal website is called pianistwiththehair.com. But he also has a serious educational background that includes studies in Rome with Aldo Ciccolini, a master’s from the Peabody Institute and a doctorate from the University of Maryland. The audience at Stage West was not only large for the venue but also pretty much on board with everything Gargiulo — who prefers to be called Julian G — wanted to do, and for that, they deserve great credit for making the show work as well as it did. Nominally this was a concert program, but most of the pieces were presented in humorous context; for example, Erik Satie’s well-known Gymnopédie No. 3 was accompanied by video subtitles acknowledging that the piece is slow and boring, and that the audience was probably wondering where they’d heard it before and couldn’t place it (and it was not listed in the program, nor did Gargiulo ever identify it). At another point, he asked the audience whether they wanted to hear Schubert or Beethoven to close the first half. The sentiment was for Beethoven, so Gargiulo said it would be Schubert, to much laughter — and then in fact played Beethoven, a messy, rushed version of the finale of the Appassionata Sonata (No. 23 in F minor, Op. 57). At still another, he brought a man and woman up on stage to mime a romantic proposal based on the idea that the beloved Chopin Waltz in C-sharp minor (Op. 64, No. 2) consists of a question-and-answer theme. This didn’t work very well, largely because Gargiulo was trying too hard to pull this off and didn’t take time to carefully set up what he wanted his volunteers to do, leaving the concert to go temporarily off the rails. But they gave it their best, and the audience was generous in its applause, though the music got lost in the moment. There were jokes about the Northeast (Gargiulo was raised in Italy, but his mother is a New Yorker, and he speaks like an American, without a trace of an Italian accent); a trailer for Keira Knightley’s upcoming World War II drama The Aftermath, which uses Gargiulo’s recording of Debussy’s Clair de Lune; and adorable images on screen of his two young children at his home in Paris, where he lives with wife, a translator. There was plenty of goodwill to go around at Stage West, in other words. And there were a couple musical high points: Gargiulo’s arrangement of Piazzolla’s Oblivion was well-suited to its original and elegantly played, and a short piece he wrote called Finding Nikita, recounting how he temporarily lost sight of his daughter in a crowd, was attractive and effective. But it must be said the rest of his playing fell well short of where it should have been. Works such as the Appassionata and Moonlight sonatas — he gave a full, passable performance of the latter to end his program — and Chopin’s Revolutionary Étude are crowd-pleasing staples, but they also are quite difficult. That goes double for Rachmaninov’s hair-raising arrangement of the Rimsky-Korsakov Flight of the Bumblebee; Gargiulo played it, but it was not ready for public performance. The critical thing here is that the people in whose steps Gargiulo is walking were masters of their instruments, and that includes Borge, a very fine pianist of the old school, and Liberace, whose flamboyance overshadowed an accomplished player who, as the late pianist and critic Samuel Lipman once ruefully acknowledged, had a “large, accurate and brilliant technique.” Wang, of course, is one of the best pianists on the scene today, and reviews of her performance Monday have laudable things to say about her Rachmaninov and Lutoslawski. But Gargiulo can’t yet do this, at least not with the program he played last week. He is clearly a well-trained musician with considerable talent who knows his way around the keyboard, and he is a charming person with a great stage presence that audiences immediately welcome. One wants him to do well, but his overall musical sloppiness can’t be overlooked. Take the next year off and — practice. Get those pieces well and truly in your fingers so that you can do the gags, the videos, the audience participation, and then turn around and dazzle your audience, who will probably already be with you anyway. And it will be a pleasure to welcome you back to the stage.